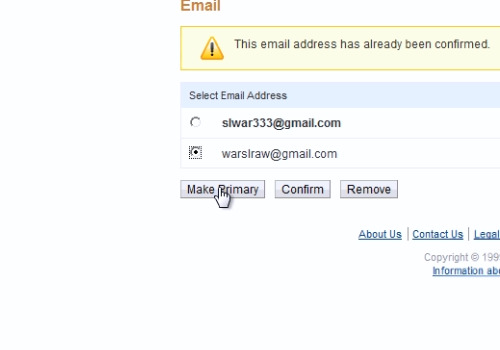 In this video tutorial we will show you how to change a paypal email address. Open Internet Explorer. Type “paypal.com”. On the following web page, log in with your email and password. 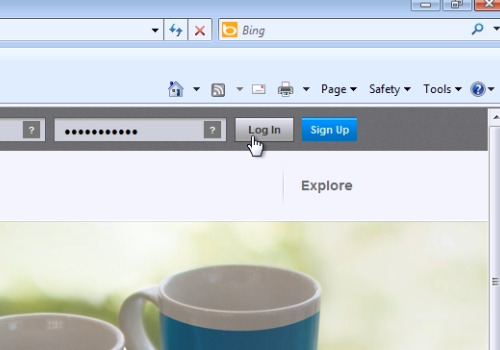 On the next web page, move the mouse to “Profile” and in the popup menu choose “My personal info”. 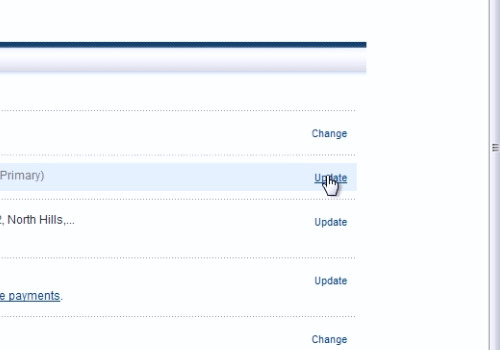 On the following web page, click “Update” near the “Email” option. On the next web page, click “Add”. On the following web page, type your new email address, and then press “Save”. Open a new tab in Internet Explorer. Log in to your email account. 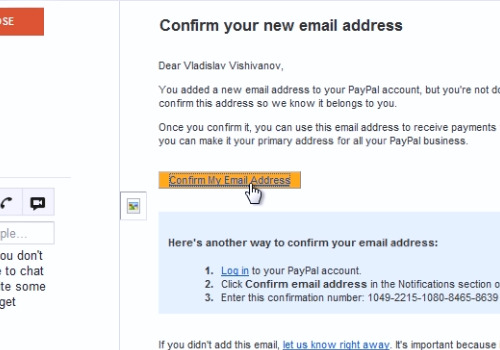 If you do not see the confirmation mail, then go to the PayPal web page, select the new email address and click “Confirm”. When it’s done, go back to the email tab and open the PayPal email. On the following web page, click “Confirm my email address”. On the next web page, type your PayPal password and press “Login”. Then, you will see the massage “You’ve activated your PayPal account”. After all, if you need to make a new email primary, choose the new email and press “Make primary”.